With all the billions that corporations spend worldwide on groupware, market shares of just a few percent are enough for smaller suppliers to survive. In this article, we look at the latest developments in the open source groupware alternatives PostPath, Kerio, Kolab, Open-Xchange, Scalix, Tine 2.0, Zarafa, and Zimbra. Somewhat unlucky in its hunt for customers, PostPath  used to have quite a solid financial basis. Up until 2008, the team originating from Bulgaria and the United States developed a replica of Exchange that ran on Linux. Cisco then whipped out its wallet and acquired PostPath for $215 million. Cisco's stated goal: to establish the software-as-a-service offering Cisco WebEx Mail as the counterpart to offers from Google and Microsoft. Cisco also acquired the instant messaging pioneers Jabber Inc. a few weeks later. While Jabber lives on in Cisco communications products, WebEx Mail was counted out for good in February 2011. The terse comment from a manager at WebEx: "It didn't scale." Kerio Technologies  started in 1997 as a distributor of network software; the first version of Kerio MailServer was launched in 2001. From Version 7 onward, the Californians referred to the product, which had in the meantime developed into groupware, as Kerio Connect (Figures 1 and 2). 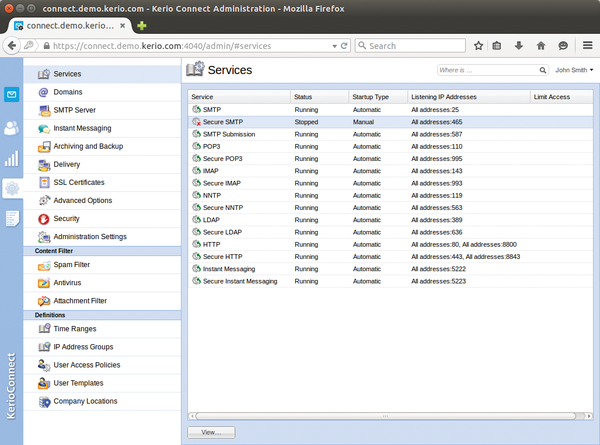 Figure 1: Kerio's administrator interface at work. Figure 2: Kerio Connect is tidy and modern. Although some individual solutions from the Linux and open source environment, such as SpamAssassin, OpenSSL, and Qt, are integrated, Kerio distributes its product Connect completely, and without any exception, under a proprietary and purely commercial license. The product is available for Linux, Windows, and Mac OS X. Kerio is one of the first third-party manufacturers that has managed to implement Exchange Web Services (EWS). As a member of the calendaring and scheduling consortium, CalConnect, Kerio created one of the first commercial CalDAV and CardDAV implementations. Most users of Kerio Connect appreciate the good integration of proven communication technologies. The product supports open standards. 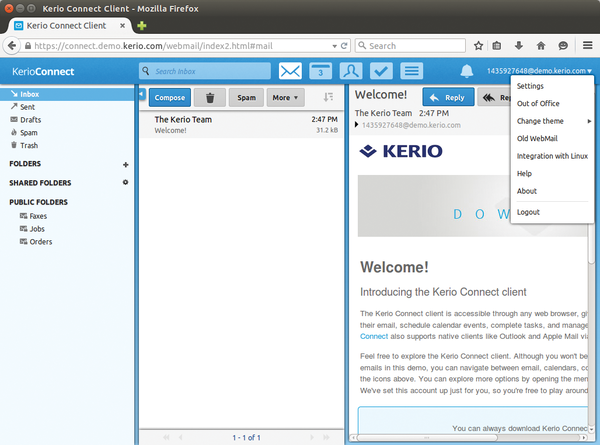 For example, an XMPP-based instant messaging service is included as of Kerio Connect 8.1. Thus far, Kerio has focused on customers with up to a few hundred mailboxes. Kerio Connect 8.5, which appeared in May 2015, also supports multiple servers in an organization for the first time and should therefore solve the scaling problem. 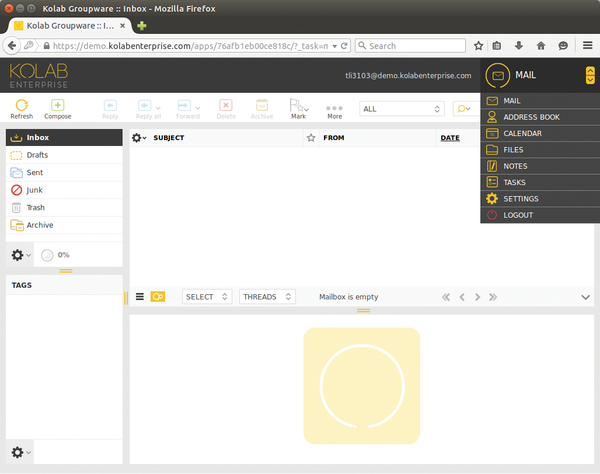 A revamped version of the Kolab groupware tool  (Figure 3) was released at the beginning of 2013.The new version uses an extended data format and Roundcube as its webmailer instead of the Horde framework that many users considered antiquated. Figure 3: The current online demo of Kolab does not really have anything in common with the Horde-based predecessors of previous years. Kolab Systems, the driving company behind Kolab, has employed several developers from Roundcube's core team for years and still manages not to cannibalize the Roundcube universal webmail program by consistently outsourcing Kolab-specific functions to plugins. The plans to offer a groupware hosting system based on Swiss law and data protection had been on the back boiler at Kolab Systems AG for some time. Just a few weeks after the first revelations by Edward Snowden and NSA spying, MyKolab was launched; it certainly gained customers, not only because of the leaks, but by gleaning customers from the Lavabit and Silent Circle mail services, which closed at almost exactly the same time. At almost the same time, Kolab announced the new iRony access layer, with sabre/dav-based support for CalDAV and CardDAV. According to some customers, this solution has matured in such a way that Kolab is now also a serious alternative for Mac users. A further milestone also occurred in 2013: Kolab Enterprise, which is maintained and updated annually by Kolab Systems, now follows the Red Hat Enterprise Linux model: The Community version is – much like Fedora – declared a developer version and not recommended for production use. Anyone who wants to experiment with it would be wise to check out the mailing lists . The IRC channel #kolab also offers fast and competent help in case of problems. The developers may have added a fair amount of content to the Kolab documentation portal docs.kolab.org recently, but it is still maintained by developers, for the most part, and thus of limited suitability for beginners. The docs are still worth reading, however, and very valuable information about advanced configuration is available in easily understandable how-tos. Kolab is one of the few products that provides a cross-platform desktop client in the form of Kontact. Even Windows users can ditch Outlook if they are willing to tackle the KDE multitalented Kontact. The underlying Qt platform makes it possible to use the client on Linux and Windows, as well as on cellphones as a scaled-down version. In January 2015, Kolab Systems AG prescribed themselves and their products a visual revamp. This change is reflected in a new design of the Roundcube webmailer. 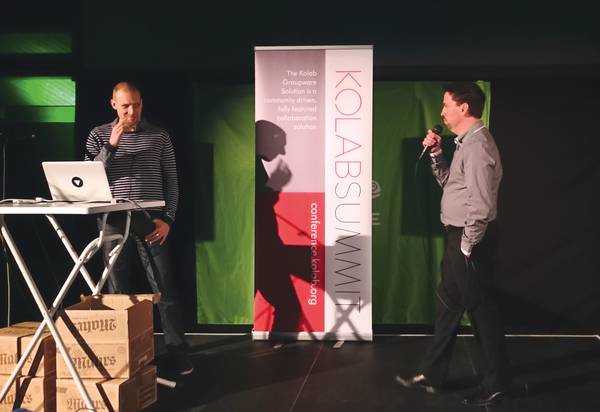 At the 2015 Kolab Summit at the start of May in The Hague (simultaneous with the openSUSE Conference), the people surrounding Kolab Systems CEO Georg Greve came up with a few innovations: "This will be one of the most important tasks for us in the next few years," Greve told the audience at the summit. 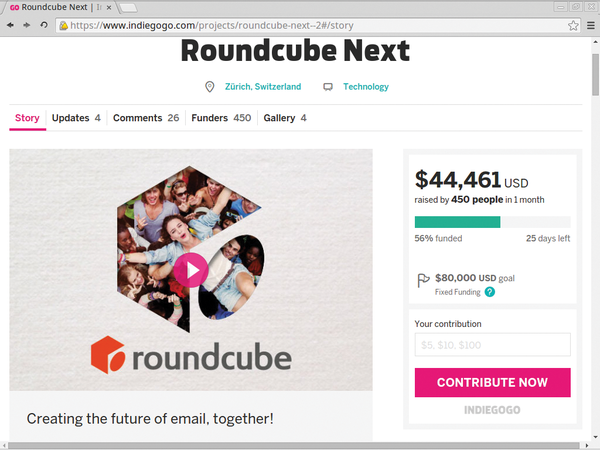 Roundcube, represented by mastermind Thomas Brüderli, will by given widespread support, and developers will add new features, thanks to a crowd-funding campaign (Roundcube Next ; Figures 4 and 5). Kolab, which is traditionally heavily geared toward data security, will also be focusing on MAPI and Office integration, as well as on serving the particularly attractive health care sector. Figure 4: At the Kolab Summit 2015 in the Hague, Georg Greve, Thomas Brüderli, and Aaron Seigo announced a crowd-funding campaign for the webmail program. Figure 5: Roundcube Next was able to gather a considerable sum within a very short space of time. We compare three mail archiving tools: Piler, Benno MailArchiv, and MailArchiva.